In Canada, new forestry practices involving the natural dynamics of tree growth and regeneration are proposed for integrating forest management with biodiversity. In particular, the current spruce budworm [Choristoneura fumiferana (Clemens)] outbreak in northeastern North America is forcing natural resource managers to clarify the potential interactions between natural disturbances and commercial thinning. The aim of this study was to investigate if the spruce budworm outbreak of the 1970s affected the responses of black spruce [Picea mariana (Mill.) B.S.P.] to a subsequent thinning. 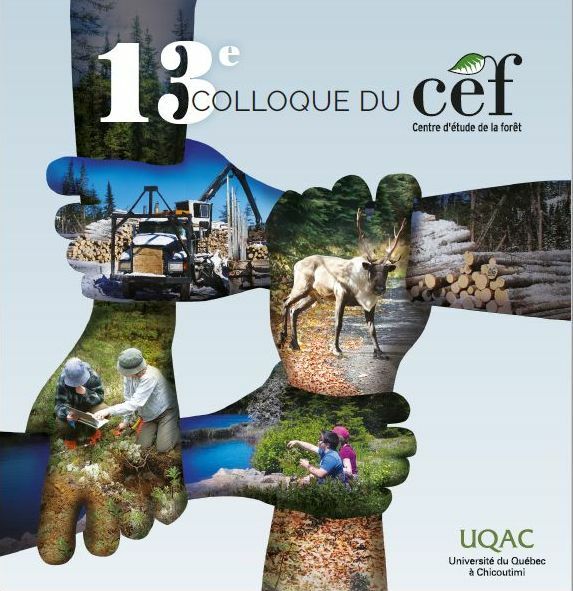 Stem growth was reconstructed by measuring and cross-dating chronologies of tree-ring width of 1290 adult trees from 34 control and thinned stands within an area of 11,000 km2 in the boreal forest of the Saguenay-Lac-Saint-Jean region (QC, Canada). The treatment consisted of a low thinning performed during 1995–1999 that removed 25–35% of the basal area. Segmented models were applied to the tree-ring chronologies to define the growth pattern during the outbreak and thinning periods within a time window of 8 years, representing the average duration of the effects of defoliation on growth. Trees showed abrupt growth decreases during the outbreak, with the tree-ring index showing minimum values in 1977–1979. The tree-ring index had a flat trend before thinning, while it increased for 6–10 years after thinning. The growth pattern during the outbreak period was characterized by a reduction, mainly in trees with larger tree rings, while slow-growing trees showed less sensitivity to the disturbance. Thinning produced a significant increase in tree growth. No relationship was found between the effects of spruce budworm outbreaks in trees and the changes in growth pattern after thinning. If the timespan between the two disturbances exceeds 7 years, partial cutting can be applied independently of the growth reductions that had occurred during the outbreak. When applied in black spruce stands with high annual radial growth, thinning is expected to optimize the volume growth of the residual trees. © 2018 Rossi, Plourde and Krause.